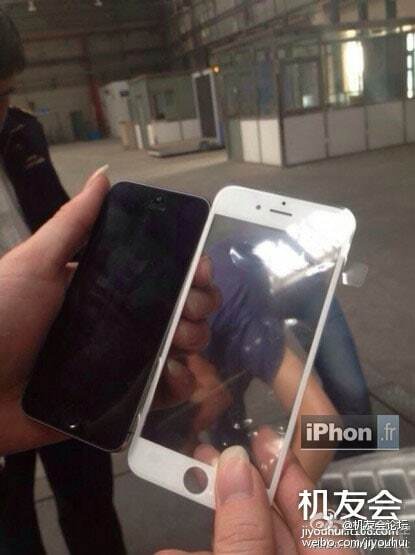 Two new iPhone 6 hardware leaks have shown up in the past day or so, lending credible support to the rumors that the new model will have a larger screen. 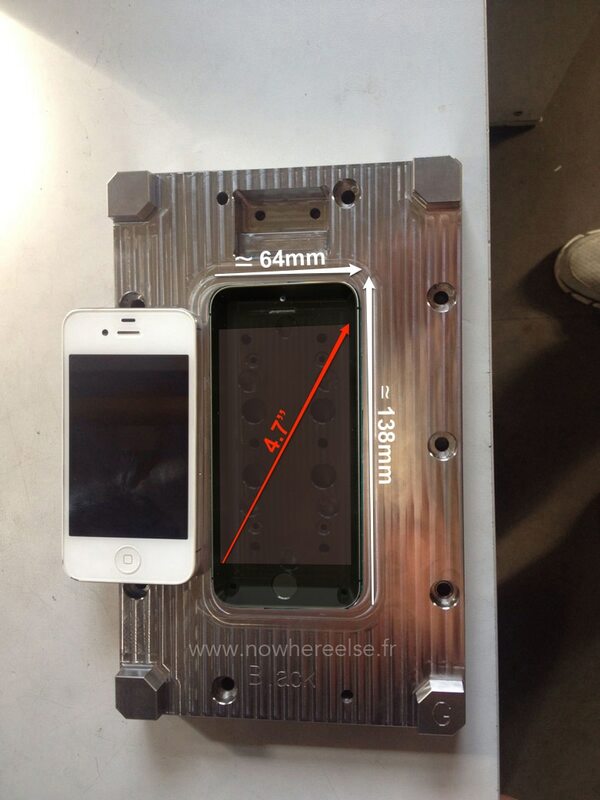 Yesterday afternoon Nowhereelse.fr published a couple photos of an injection mold which looks like it could make a larger iPhone 6 shell, and this morning iphon.fr posted images of what could be the front panel for that larger iPhone 6 (at right, click to enlarge). I don't have any evidence to show that these leaks belong to the next iPhone and not some Chinese knockoff, but given how they are presented I do find them more plausible than the similar leaks from Sunday. The photos of the injection mold, for example, actually look like something that could be used to create the rear of a smartphone shell . What's more, one photo included what looks like the front panel for the iPhone 6 next to a current generation iPhone with a 4" screen. While this would not be hard for someone to fake in Photoshop (and I already fell for one such fake), I do find it a compelling argument that the iPhone is going to get bigger later this year. Of course, that is also what everyone was expecting to happen last year, and we all know how that turned out. But one huge difference between this year's Apple rumors and last year's rumors is that none of the leaked images last year looked like the larger iPhones components which have been showing up in leaks this year. The latest rumors suggest that Apple will launch both a 4.7" iPhone and a 5.6"-ish iPhone later this year. At this point I am only really expecting to see the 4.7" model; I have not yet seen enough leaked components for the larger model. Without those leaks I don't know whether it really exists or is merely being wished into existence (like the iWatch in 2011 and 2012, or the iPad before 2009).